So following on from 2014 Cradley lost their temporary home at Monmore Green when Ladbrokes decided it wanted the stadium for more International greyhound meetings. For a while it looked like we were homeless again but when Tony Mole decided to go National League with the Brummies the opportunity came to track share with Birmingham at Perry Barr. Monmore was always the preferred stadium with the fans following the 2010 season but 'hey ho', never look a gift horse in the mouth and off to Perry Barr we went. The management had put together a useful looking side despite the points limit being reduced to 38. 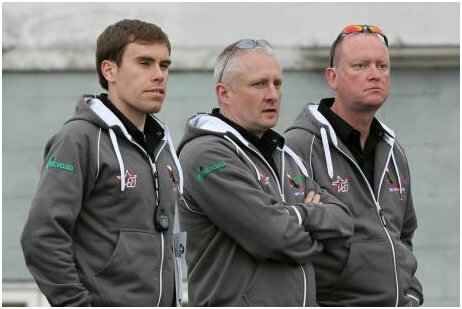 Losing Steve Worrall, Paul Starke and Danny Phillips from the previous season and Tom Perry joining the Brummies as their captain. Cradley retained Max Clegg, Matt Williamson and Nathan Greaves, to be joined first by Michael Neale who was no stranger to the Cradley camp after spannering for Max previously. Luke Harris and Tyler Govier signed with Harris getting the number 7 slot and Govier number 8. The real scoop though was for the other reserve spot with Ellis Perks (great nephew of former Cradley hero Dave Perks) brought in from Australia (he was born in the UK although bought up in Australia.) The missing piece in the jigsaw went to Arron Mogridge (son of former rider Alan Mogridge). First two matches of the season were Challenge matches against Birmingham (well they had to be didn't they?) These matches were for the Dan McCormick Trophy. First leg was the 'away', fixture with the Heathens stunning the Brummies with a 27-63 win! Ellis Perks showing what he could do with an 11 point paid maximum. However, the demoralised Brummies came back with a bang one week later when despite a magnificent 16 points from Ellis the Heathens went down by 2 points 44-46. Two weeks later Cradley faced Coventry Storm winning by 47-43. The next match at home to Eastbourne was a terrific clash against league newcomers Eastbourne, Heathens coming out on top again 48-41. Off to Kent next for our first NL away fixture and an away win 45-38. A convincing win over Mildenhall next 56-36. Two away matches at Stoke in the KO Cup winning 43-35 then our first defeat in a 29 match run at Eastbourne but the Heathens gave them a fright, holding their own until more than half way through then losing 52-40. The return leg of the KO Cup against Stoke went as expected 57-33, they went top of the league after their match against Kent on 10th June winning comfortably 53-40. 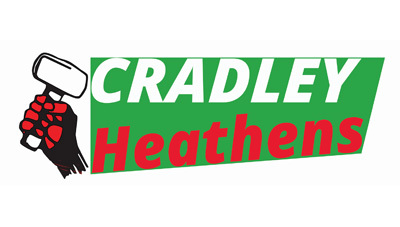 On 21st June it all started to go wrong for Cradley losing Michael Neale in a frightening heat 2 crash, the Heathens were already without Nathan Greaves who broke his leg at Workington on 13th June. Losing 46-41 was a blow to Will Pottingers men but it made worse when Birmingham came and beat the Heathens 49-40, struggling with an injury stricken team and having to give Luke Harris 7 rides for his 3 points. Despite having Adam Extance as a guest who scored no points and Rider replacement for Nathan Greaves the Heathens made easy meat of Stoke on 8th July thanks to a magnifcent 21 point paid maximum from Ellis Perks which included a 15 mtr handicap for touching the tapes in heat 2! Another 15 points from Ellis Perks (despite sliding off in his first heat), saw Cradley break the 60 barrier for the first time this season beating Buxton 61-31. 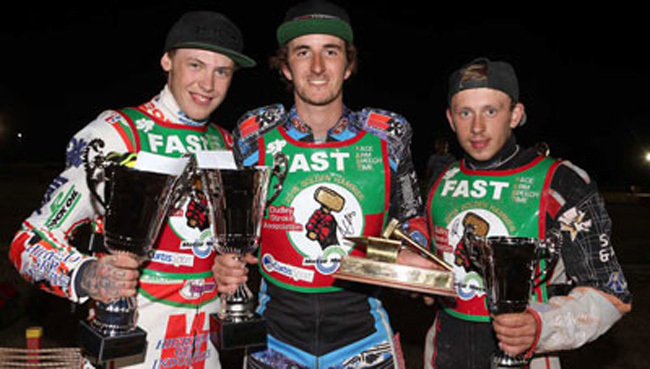 The Heathens won a classic battle 'away', against the Brummies on 5th August winning 46-44. A weakend Cradley team with two guests and Rider Replacement lost a tense battle 46-44 at Kings Lynn With Josh Bailey scoring 17 for the Young Stars, but the Heathens got their own back winning 58-35 when they came for the return match a week later despite some of the Heathens having very heavy falls. A disappointment in the NL Pairs for Max and Ellis though when they went to the Final and lost when Ellis fell leaving Kent's Danny Ayres and Ben Morley to take the title. At Buxton on September 6th Cradley lost 51-39, Max Clegg battled in vain with 14 out of 15 and the fastest time of the season but had little back-up from the rest of the team. Cradley battled through an entertaining match against Rye House on 9th September winning 49-41, Ellis Perks scoring 14 from his first 5 rides then taking a nasty fall in his last race trying to overcome a 15mtr handicap for touching the tapes in heat 15. On 13th September Cradley squeezed in 2 NL fixtures in one day racing at Coventry in the afternoon losing 48-44 when they ran out of riders and bikes and then at Loomer Road Stoke in the evening a remarkable win with just 4 riders when Michael Neale fell in his first ride and wrote off his only bike, Ellis Perks and Tyler Govier were injured at Coventry earlier, Darryl Ritchings replaced Perks but Will Pottinger could not find a suitable rider to cover for Tyler Govier. With Ben Morley covering for Max Clegg and Daryl Ritchings for Nathan Greaves, Rider Replacement for Ellis Perks it left just 2 Heathens riders - Matt Williamson and Arron Mogridge! 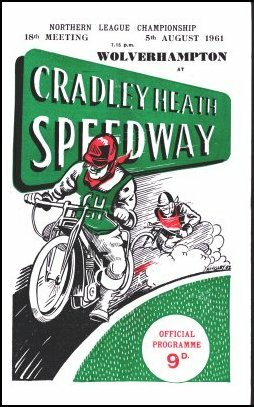 And Cradley still won 40-35, the meeting was abandoned after 13 heats at 8.00pm after the second power cut. Well it was Loomer Road! Well that was the end of the National League matches, but Cradley's season was not over yet with the Gold Cup and KO Cup still to be ridden. The Gold Cup first leg semi-final put paid to any chance in that competition with Ellis Perks returning to Australia with a hand injury and Darryl Ritchings guesting for Nathan Greaves. It was a bitter blow losing to Birmingham 36-54 but the Brummies were flying high with the League Title under their belts. The return leg was a bit closer at 47-43 but the damage had been done and the Gold Cup lost. Just one competition left then The KO Cup. Cradley made sure of getting to the Final by winning at Kings Lynn in the semi, first leg away at Saddlebow Road 51-39 with Max and Matt both getting 5 ride paid maximums and Arron Mogridge chipping in with 12+1. The second leg was a formality now though winning 57-33 at home. So on to the Final then, well it was always going to be a Titanic battle against Eastbourne, such a home track advantage for the Eagles Cradley needed to have a big lead to take to Arlington, however the track at Perry Barr was very difficult with heavy rain throughout causing so many delays that it had to be abandoned after heat 10 due to the curfew with the scores level at 30-30. The Heathens put up a brave fight in the second leg but it was a bridge too far, again in very difficult track conditions with heavy rain the second half of the match they had to concede and the Cup went to Eastbourne. Not a bad season really, in June we were top of the league but the injury to Nathan Greaves was difficult to overcome with no real replacements to cover for him, then later in the season Michael Neale ran out of equipment and Ellis Perks went back to Aussie with a damaged hand. Bad news again before the season finished when the promoters put the Heathens up for sale. So once again uncertainty surrounded the club. Fortunately after having talks with Ladbrokes, the owners of Monmore Green Stadium an offer was accepted for the Heathens to return in 2016. 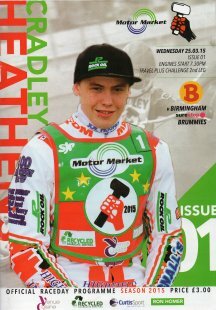 The Heathens started the season with 'home and away', challenge matches against the Brummies with the Heathens winning the first match 27-63 then losing the following week 44-46. 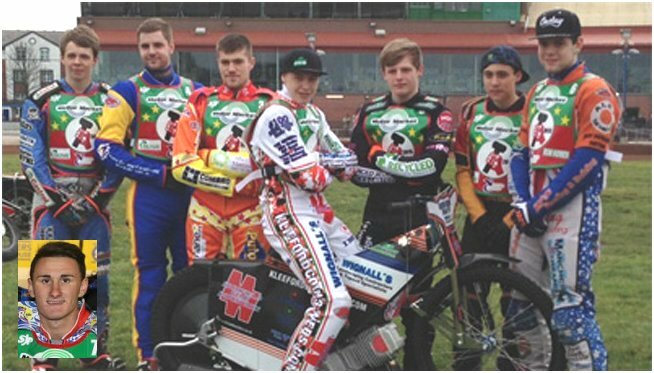 On 19th April a combined Cradley / Birmingham side went to Brandon to face Coventry Storm in a Challenge Match. The Storm came out on top with a 49-40 win. Quarter Final 1st leg - Stoke 35 Cradley 43 (Clegg 14, Williamson 13, Neale 6, Perks 5+4, Mogridge 4, Harris 1, R/R Nathan Greaves.